General Chemistry 1. Composition, structure, and properties of matter; quantitative principles, kinetics, and energetics of transformations of matter; and fundamental concepts of organic chemistry. The DepEd articulated a set of 21st century skills that should be embedded in the SHS curriculum across various subjects and tracks. These skills are desired outcomes that K to 12 graduates should possess in order to proceed to either higher education, employment, entrepreneurship, or middle-level skills development. Biology I is a Science, Technology, Engineering and Mathematics (STEM) Specialized Subject taken in the first half of Grades 11/12. Learners go on a journey geared toward the deeper understanding and appreciation of life processes at the cellular and molecular levels previously introduced in Grades 7-10. They will also apply basic chemistry and physics principles as they examine the transformation of energy in organisms. Implementing this course at the senior high school level is subject to numerous challenges with mastery of content among educators tapped to facilitate learning and a lack of resources to deliver the necessary content and develop skills and attitudes in the learners, being foremost among these. Sarili through flexible and relevant content and performance standards allow learners the freedom to innovate, make their own decisions, and initiate activities to fully develop their academic and personal potential. These ready-to-use guides are helpful to educators new to either the content or biologists new to the experience of teaching Senior High School due to their enriched content presented as lesson plans or guides. Veteran educators may also add ideas from these guides to their repertoire. 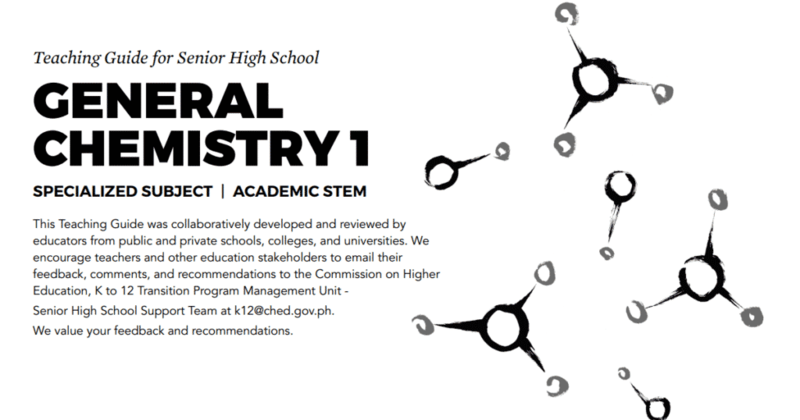 The Biology Team hopes that this resource may aid in easing the transition of the different stakeholders into the new curriculum as we move towards the constant improvement of Philippine education.